WeissCANNON announces a change in color for Match Power. The economy poly-based string that has long been available in orange and natural will change to bright yellow in 2011. Performance remains unchanged, however, durability has been increased. Be watching for it. The new WeissCANNON Black5Edge sets and reels are in stock and available at SPECIAL INTRODUCTORY PRICING for a limited time. This string rates at the top of virtually all areas a string can be measured. It is designed to exceed even the highest expectations and it totally delivers! 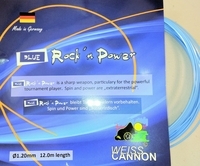 WeissCANNON has announced it has successfully playtested and will be launching what promises to be the world's most comfortable and effective profiled poly-based string later this fall. The string will be constructed of an updated version of the materials used in their flagship poly, Silverstring. WeissCANNON has chosen to extrude the string in a PENTAGON (5 sided) shape. Research has shown that 5 sides is the most effective for putting a sharp angle on the ball and thus creating additional spin. The product is still unnamed and will offer all of the greatness you have come to expect from Silverstring with added spin and a menacing black color. 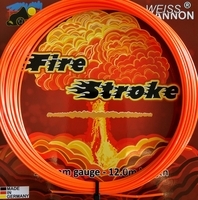 A new shipment of WeissCANNON string products arrived and is now online and ready to order. 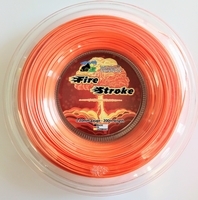 Back in stock are the much sought after TurboTwist sets and reels in 1.18mm as well as the Scorpion 1.22mm. NEW products currently available are the highly anticipated Mosquito Bite in both sets and reels. The Mosquito Bite products are currently set at introductory pricing levels for early adopters. Also WeissCANNON has released a natural colored version of their amazing 6StarString Supercharged. WeissCANNON is poised to create a BUZZ in the tennis string world later this summer as they will introduce a NEW poly-based string called Mosquito Bite. This new offering will provide another comfortable and powerful poly-based option. It will come in a single spin-crazed gauge, 1.16mm (18ga). Color choices will be pale flesh, blood red, vein blue and mosquito black. We expect to have this string available for US customers by mid to late August 2010. 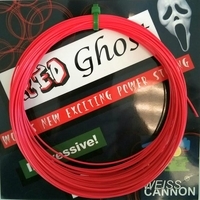 Earlier this year WeissCANNON released the new 6StarString Supercharged. 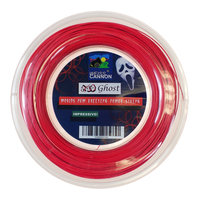 Sales of this dynamic new string have been brisk and customer response has been overwhelmingly popular. Even though WeissCANNON and Guts and Glory Tennis believe the purple color is outrageously cool,not all players agree, especially teenage boys. So, later this summer WeissCANNON will come out with a natural colored version. The exact date is still unknown, but it is something that will be available in the coming weeks. In related news, there will also be a NAME CHANGE to the string. 6StarString Supercharged is a bit long so it will be condensed to 6Star Supercharged. You heard it hear first!